As we head towards the end of this decade, we’re well into the era of technology and fitness working hand in hand. Those of you who are regular gym users may use wearable technology such as a Fitbit, tied into an app on your phone which monitors your physical fitness. You’ll also likely have another app which helps you keep track of your eating. If it’s one of the more detailed apps, it might even make recommendations about what you should be eating, and when. A new device is about to take that process one step further. 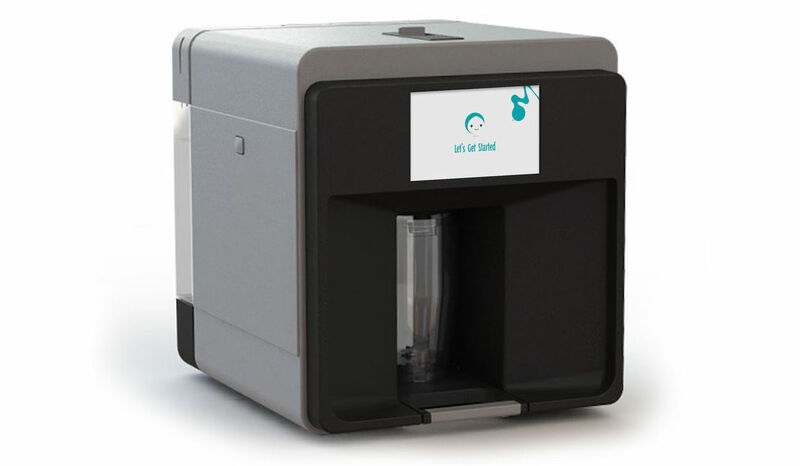 The Mixfit Intelligent Nutrition Assistant, which will be known as MINA, is the product of a collaboration between Mixfit and tech company DSM. 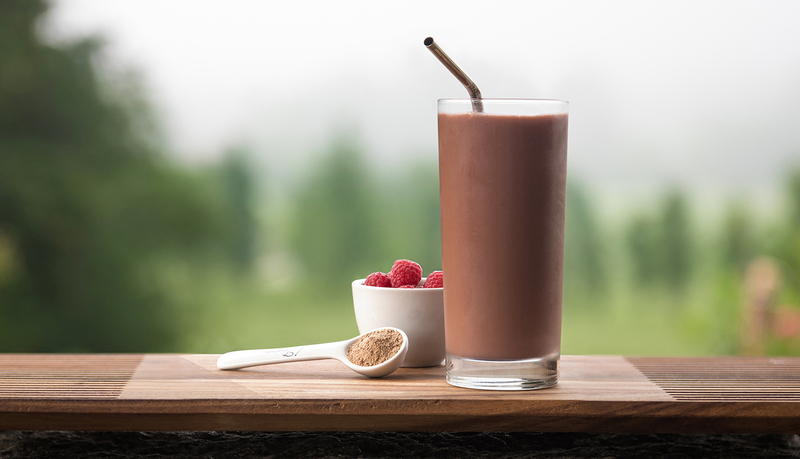 The best way to describe the product it creates would be to call it an intelligent protein shake. Anyone who’s gone to the gym with the intention of building muscle will be familiar with the process of putting a protein shake together; it’s all about ingredients and powders in the right measure. They may not look or smell great, but people convince themselves that they’re doing something good for themselves when they ingest them. The problem with creating a drink like that yourself is that you have no way of knowing what your body needs at any one time. Most people make themselves the exact same shake day in day out, no matter what they’ve eaten before, what they’ll eat after or what form of exercise they’re doing. Your body chemistry alters from day to day, and different types of food and exertion will place different demands on your physiology. In reality, you should be drinking something different every day to provide precisely the ingredients your body needs. That idea might sound impractical and far fetched, but it has a common-sense basis. Think of it like an online slot game; the kind that you might find at Rose Slots. All the elements you need to create a winning line are right there on the reels, so technically speaking you already have all of them. However, a slot game will only pay out if you assemble the symbols on the reels in the right order when you spin them. Not only that, different combinations of symbols result in different payoffs! Achieving the correct balance of nutrients in your body works in the same way. Most of what you need is already inside you; you just need a combination of ingredients in the right order to make them pay off for you. That combination will be different today than it will be tomorrow. The key difficulty is, of course, how to work out what that balance should be. And that’s what makes Mixfit unique. Senior staff at both Mixfit and DSM recently gave an interview in which they discussed the MINA device, and it sounds like the technology of the future. Simply put, the MINA is a physical device that sits on your kitchen counter, and is connected to an app on your phone. The app is, in turn, connected to Fitbit-style wearable technology which assesses a range of data about you. Having evaluated your lifestyle, level of fitness, diet and level of exercise, the device then formulates, mixes and pours a nutrition drink which is specially engineered to suit your body’s exact requirements at the time of pouring. Basically, it gives you exactly what you need, whenever you need it. Mixfit is keen to point out that their drink isn’t a meal replacement, but rather a partner product to a healthy diet, although it will also try to help you balance out the effects of a bad one. Those behind the launch of the product say that customers are free to eat normally, and the Mixfit will then top up that meal with a drink containing anything the meal didn’t give them. That makes the occasional ‘cheat meal’ a lot easier to forgive yourself for, because the MINA product helps your body balance out the damage of too much sugar, salt or fat. Profit margins for the company will come in the shape of subscriptions; the MINA will require a constant stock of ingredients in order to formulate its mixtures, and will only work with products supplied directly by Mixfit. Consumers are expected to be given the option to sign up to annual or monthly subscriptions, with the required packages, known as ‘Core Packs’, delivered to them directly at home. As well as the partnership between Mixfit and DSM, a third company called Givaudan is also involved. In the promotional text of the official Mixfit website, Givaudan is described as the world’s leading fragrance and flavor company. 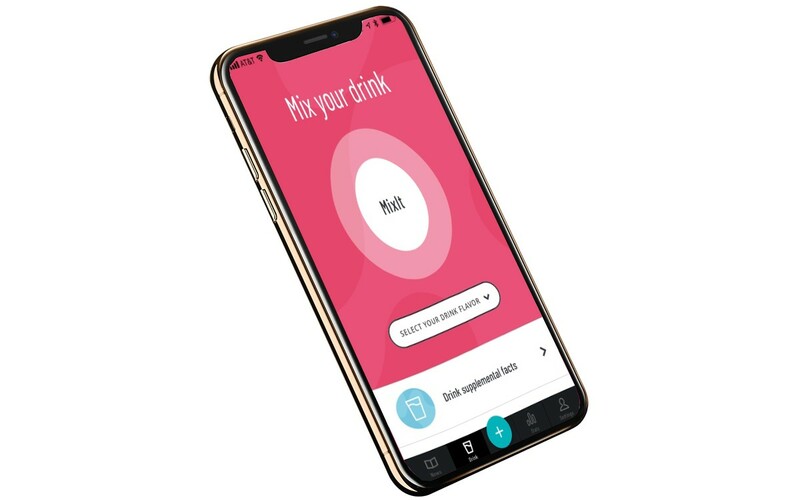 With this partner on board, the belief is that the MINA device will be able to create nutrient drinks in any flavor to suit your mood, regardless of what the ingredients of that drink are. They also promise that there won’t be any powders or similar gritty residues of the kind that you might encounter when making a conventional protein shake. Early 2019 has been listed as the launch date for MINA, with all final-stage testing complete, and products ready to ship. Preorders are currently being accepted via the company’s website. Whether or not it goes on to lead a health supplement revolution, if it works as is described then it’s an original and unique product that the majority of people health-conscious readers are likely to think is a good idea in principle. We’ll wait for the reviews of the product out in the field before we form a full opinion. It would be good to know what the actual nutritional value of the ingredients in the drink is, too. If all is at it seems at face value, then this is technology that comes straight out of a science fiction series; a product that effectively scans your body works out what it needs and provides a beverage to suit. We’re looking forward to the next step forward when someone works out how to do the same thing with 3D printers and full meals!